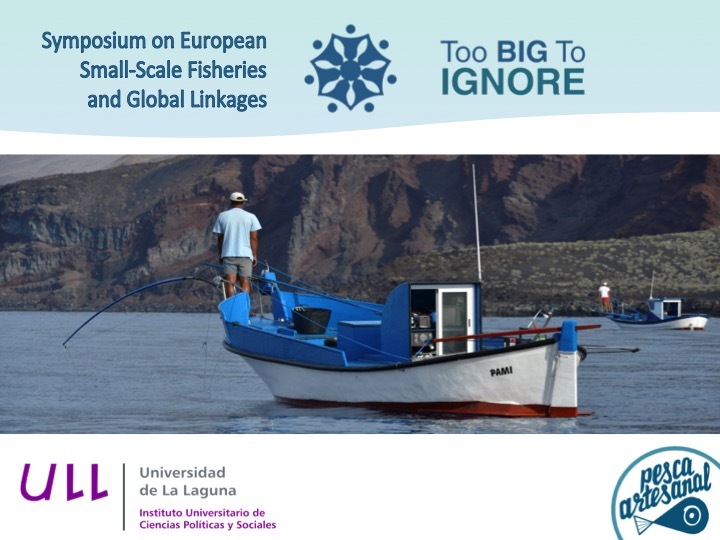 The TBTI Symposium on European Small-Scale Fisheries and Global Linkages was held on June 29 -July 1, 2016 in Santa Cruz de Tenerife, Spain. 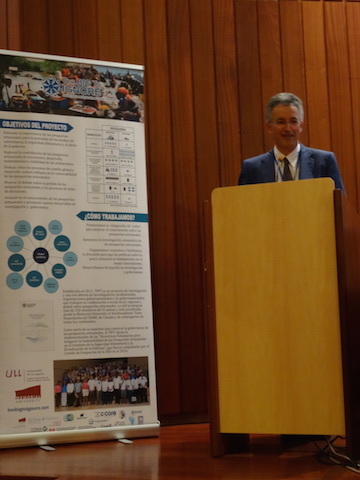 The three-day symposium was jointly organized by TBTI, the Institute of Social and Political Sciences of the University of La Laguna and the GOBAMP2 Project. 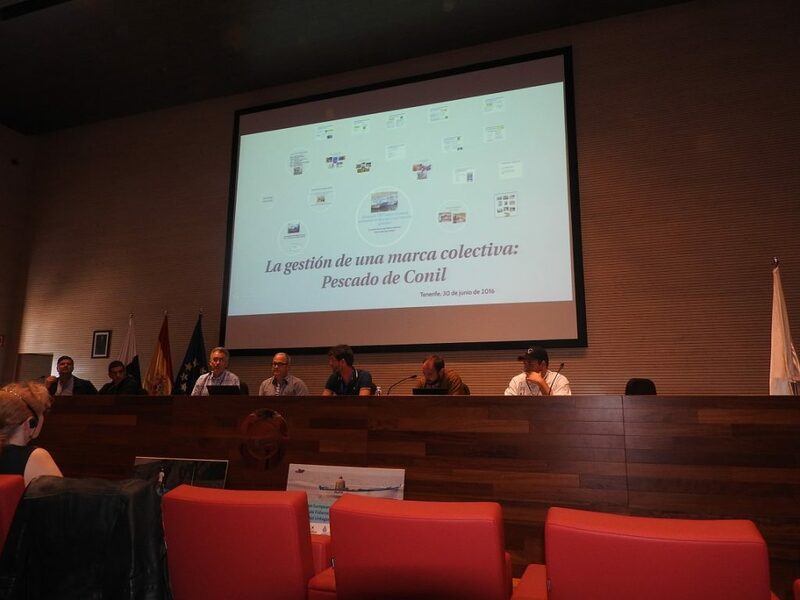 The University of La Laguna and the Oceanographic Centre of Canary Islands of the Spanish Institute of Oceanography hosted the symposium.. 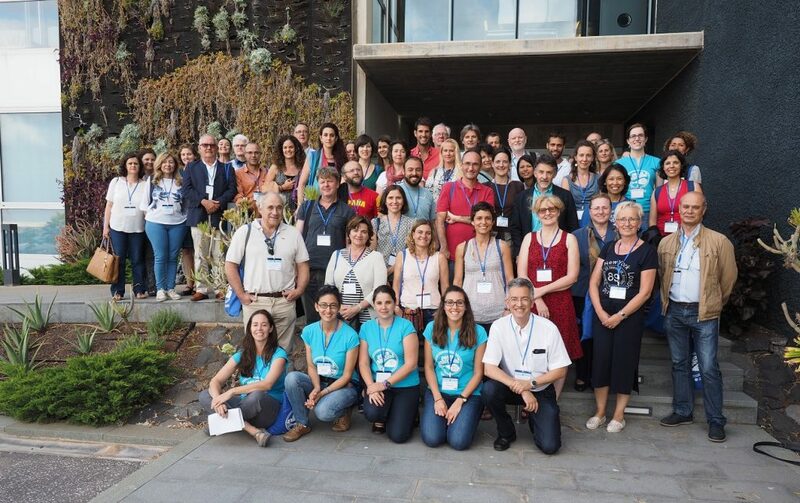 The symposium attracted around 80 experts on small-scale fisheries (SSF) from across Europe and abroad who came together to share and discuss issues affecting the sustainability of SSF in Europe. Through a number of presentations, panel discussions, keynote presentations, and poster sessions, the symposium provided an excellent overview of the main issues in European SSF, with an emphasis placed on markets and stewardship efforts. The audience had a chance to hear talks on SSF branding & marketing, governance, fishing pathways, livelihoods & wellbeing, economic & technical efficiency, ecosystem based management, MPAs, ITQs, empowerment & embeddedness, marginalization, gender, youth, historical perspective, social transformation, gastronomy and many other SSF issues. One of the highlights of the symposium was the talk by Jeremy Percy, Executive Director of the Low Impact Fishers of Europe, UK. LIFE is an umbrella organization run by fishermen for fishermen, established to help fishers overcome pressing challenges such as income reduction, decline in profits, loss of viability and jobs. The goal of LIFE is to provide a clear, coherent and effective representation of SSF fishers in Brussels and at a Member State level..
A panel presentation on local branding and marketing initiatives in SFF in Europe was another highpoint of the symposium. The presenters, many of whom are small-scale fishers, described the pathways in which they, their fishing communities, and fishing organizations are overcoming marketing challenges. As showcased, a lot of effort is being put towards developing unique marketing and branding strategies, fostering new partnerships, differentiating SSF products from large-scale fisheries products, creating a high quality product, offering consumers products they can trust, etc. The symposium also placed a strong emphasis on the governance challenges for SSF in Europe, in particular within the context of the new Common Fisheries Policy, Blue Growth Agenda and the Voluntary Guidelines on Securing Sustainable Small-Scale Fisheries (SSF Guidelines). Nicole Franz, FAO, and Svein Jentoft, Arctic University of Norway, specifically discussed the development and the implementation of the SSF Guidelines through two keynote presentations. .Not surprisingly, there was a lot of discussion about the current challenges in SSF in Europe. These included, to name but a few, a poor representation of fishing communities in the fisheries policy and management; a lack of recognition for social values and contribution to job and wider economy; and the difficulty in implementing marine spatially-based fisheries while striking a balance between conservation and maintaining fishers’ livelihoods and wellbeing. Another issue was that even though the gender equality has been legally mainstreamed in fishery policy and research, intergenerational factors and barriers facing young people, still pose a huge threat to sustainability of SSF. On the other hand, there are also many positive aspects that are a cause for optimism about the future of SSF. One of the most exciting things is the fact that SSF in Europe and their values are being studied and communicated at a European level through organizations such as LIFE and other policy instruments. Participants were also hopeful about the recognition of SSF under the new Common Fisheries Policy and the fact that, finally, scientists, NGOs, and fishers organization are placing more attention on the issues and importance of SSF. Moreover, successful stories about the local fisheries such as the one presented by Vahdet Ünal about the Gökova region in Turkey are examples of good practices in SSF management that can be replicated elsewhere.. 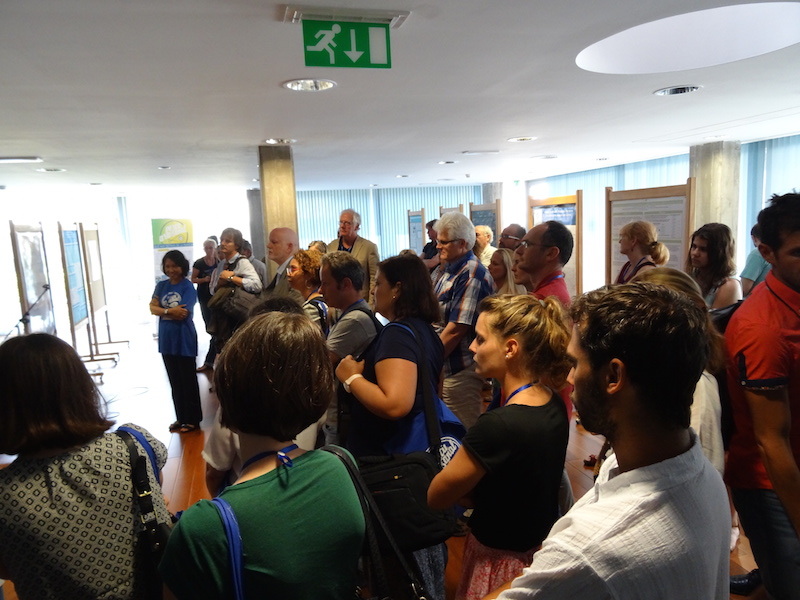 Through a plethora of informative, engaging and thought-provoking talks the symposium succeeded in its promise to facilitate discussions on local research and governance capacity for fishers, fishers’ organizations, and fishing communities in Europe. In addition, the symposium report, which will soon be available, will offer a compilation of lessons learned that can be beneficial for informing research, governance, and marketing of SSF in Europe.